April in London is in general one of the prettiest months, just next to the beautiful and colourful September/October period. I name the Spring as the best time to visit the capital of the UK. Just as it is in Japan, London looks its best with the cherry blossom and magnolia trees. As for the coffee break, there’s more to London’s cafés than just great brews. The capital is brimming with top-notch coffee culture, and with Instagram being around it became the sort of competition! Shabby chic interiors, walls adorned with artificial flowers, pink latte and a raspberry cake? London at its best! Last year it was all about ‘millennial pink’, but 2018 calls for something more creative than just the cute pastel pink table or the shabby chic walls. I recently prepared a list of five floral restaurants to visit, and today I am publishing the second part. I always say London tends to awake people’s creativity. Am I right? ‘Dalloway Terrace is an elegant, poetic and quintessentially English space’ – I could not agree more. The restaurant makes a great impression, and there is no doubt they are not a touristy place. 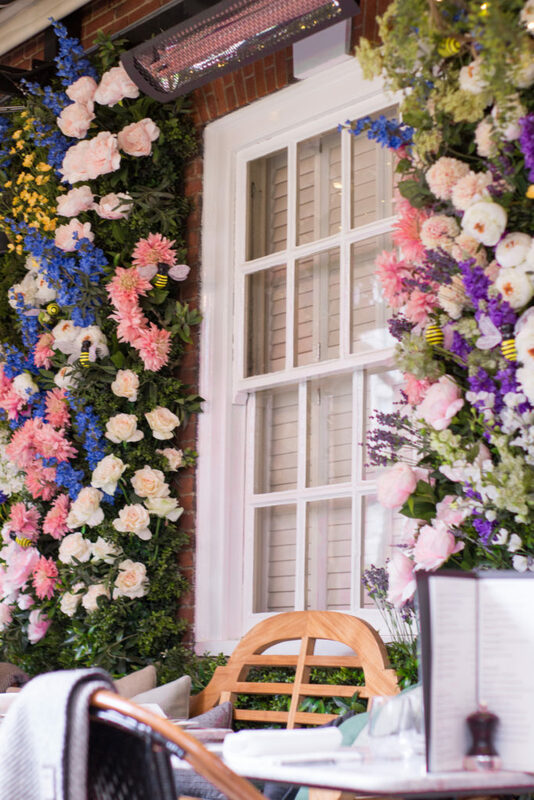 Dalloway Terrace is a lovely ‘hidden’ restaurant, just a stone’s throw from Tottenham Court Road. 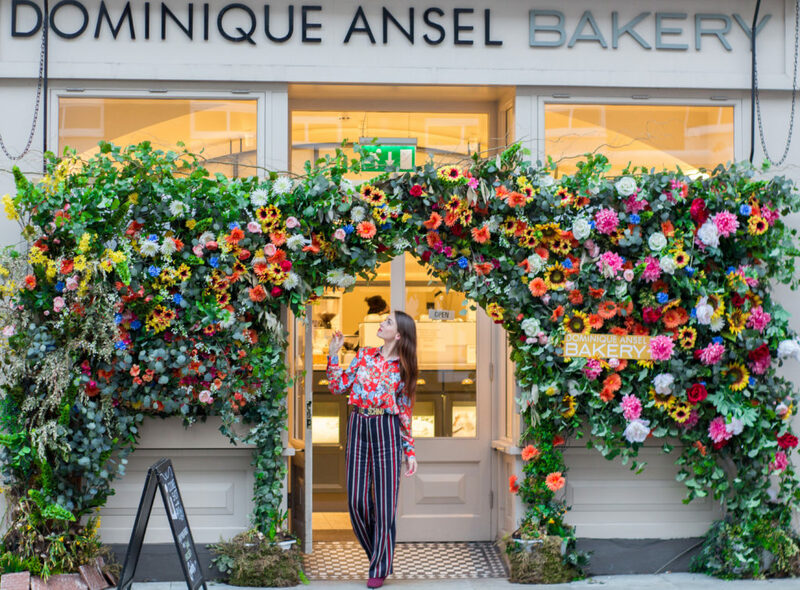 Despite the fact the place is located in Soho, in the heart of the historic and vibrant Bloomsbury, London’s literary centre, the beautiful indoor-outdoor space remains quite ‘intimate’. The interior changes every season – it is now perfectly dressed for the Spring! Make sure to book a table in advance in order to avoid being ‘dismissed’. Unlike the majority of London’s Soho restaurants, this one is very spacious as it has an indoor and outdoor area. 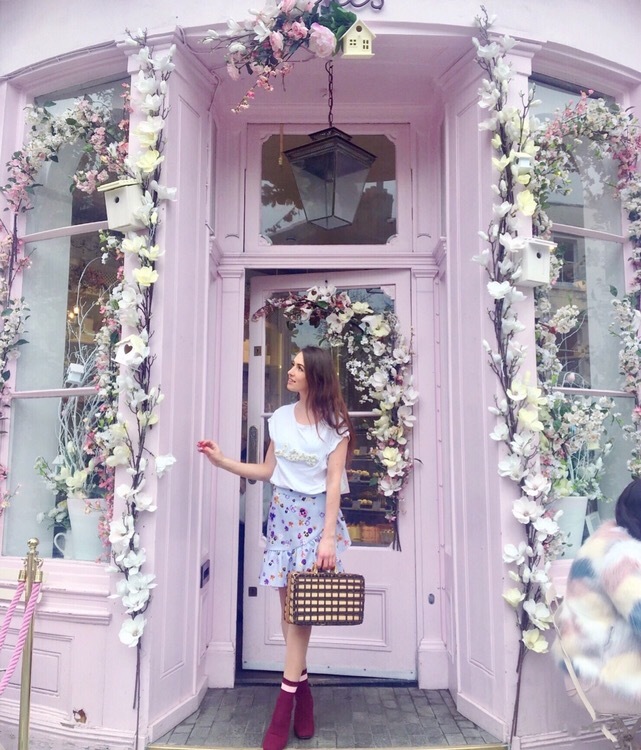 The only reason Peggy Porschen Cakes was missing from my first article is that I did not manage to take a photo as THE MOST INSTAGRAMMABLE PLACE IN LONDON was a bit too crowded. The famous entrance might not look its best, but it is still pretty cheerful. 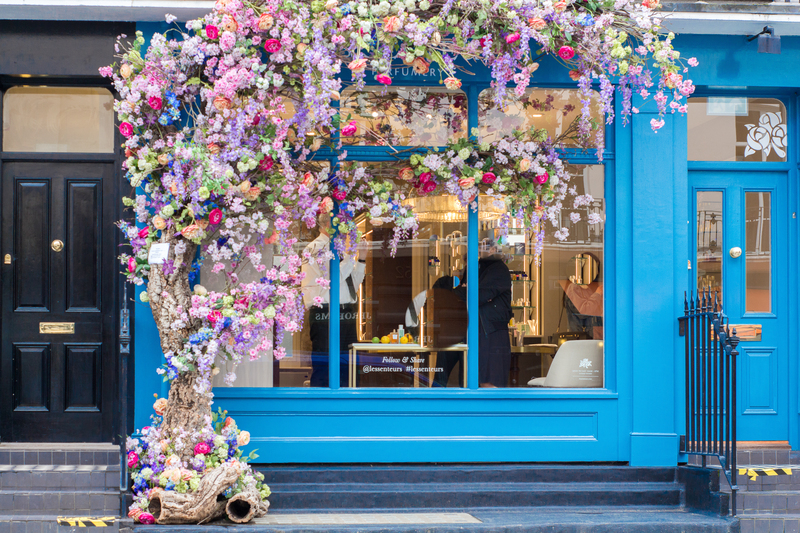 Peggy Porschen is located a few steps away from Dominique Ansel Bakery – you won’t miss its pastel pink exterior. Make sure to never go there on weekend, and try to do it in the morning in order to avoid the line. 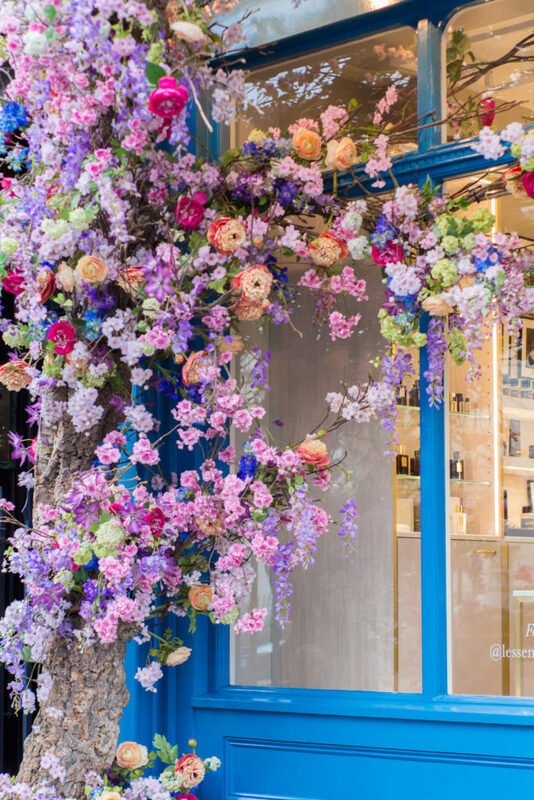 I visited Peggy Porschen around 4 years ago for the first time and observed how it became a real ‘café celebrity’ of London. 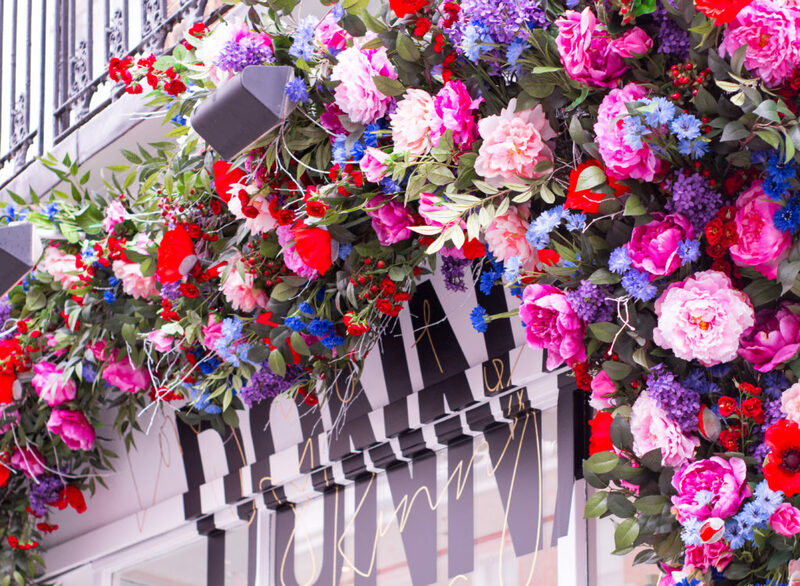 It corresponds to both – the millennial pink and floral trend, as the display changes every few weeks. I would also recommend taking a walk along Ebury Street as there are more Instagrammable spots to see. 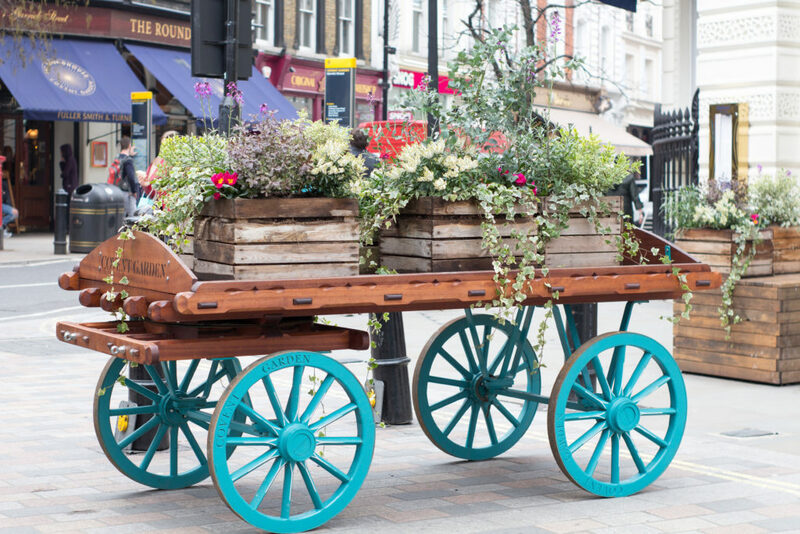 Covent Garden is my favourite place to come to – excluding weekends. I always enjoy the stroll around the market and the flower shops. 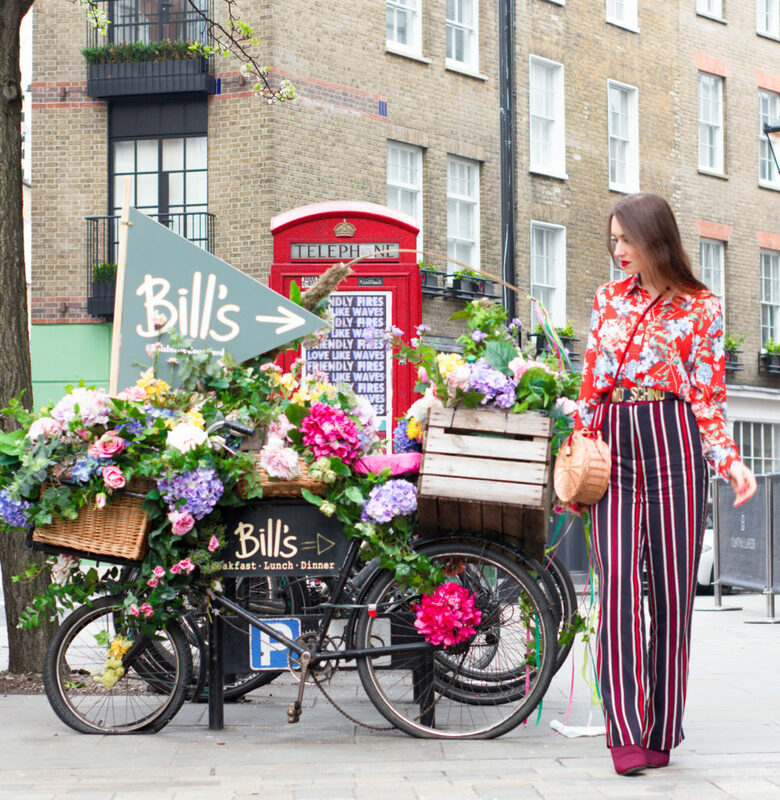 Bill’s is not exactly on the Covent Garden Square – it is located on the corner, which makes it less ‘touristy’ and perfect for a little break. 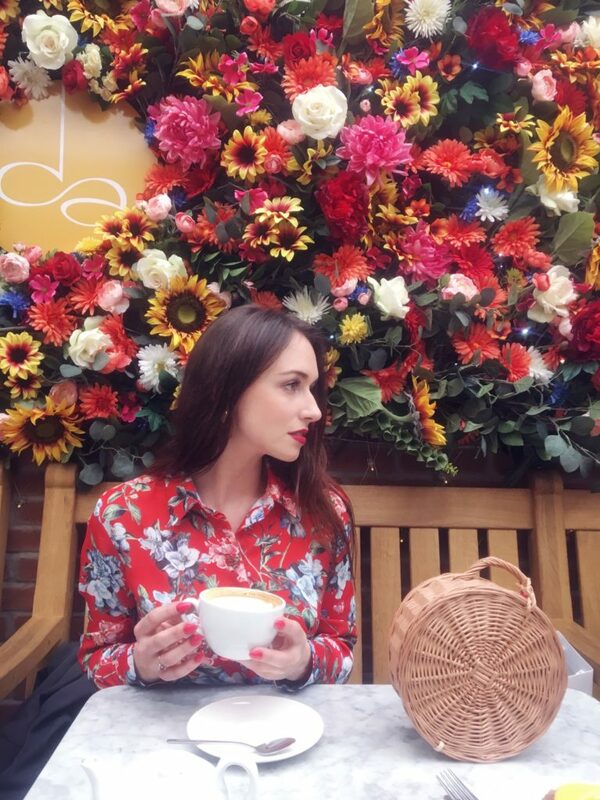 Make sure to check my latest ‘Floral Cafes in London’ post here and the ‘Pink European Places’ here. This is all too cute!! I love how creative people can be. I’ve never been to London, but I feel like the whole city is Instagrammable! Been in London in 2015, and plan to re-visit soon. Like UK’s capital a lot and have never been in spring… thanks for these great photos! What a cool post! Thank you so much for those tips! The pics are amazing! Wow, such lovely places, I want to visit them all. Till now, I only made it to Peggy Porschen.